When I first started dating Fred and coming to his house, it had a distinct smell to it…old. He’d only been in the house for a couple of years and the house was a good 30+ yrs old. I wasn’t the only one who noticed, my boys did, too and blurted it out one time in front of him. Oy! I knew when I decided to move in that I was going to need an air freshener or two to make the house not smell so old. Flashback about that many years and I remember Renuzit in our home. Do you? Those molds in the containers were in various rooms of our house all of the time. I loved it when my parents would bring in a new one because I loved how they felt. I always wanted to squish it. I know, I’m weird, but it’s the truth. And then, the other cool part, was watching it dry out. I was fascinated by the craziest things. 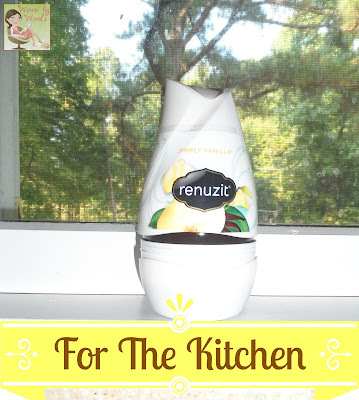 Now, Renuzit has a line of cones that has the entire house smelling amazing, but not in an over powering way. One of my concerns about bringing air fresheners into the house was the boys. They’re both opinionated and aren’t fans of “smelly” things. If the scents were overpowering, I knew I wouldn’t be keeping the cones in the main rooms. When I was going through all of the options at the store, I wanted to choose them all because I loved how they smelled. The first one I opened was for the living room, the biggest room in the house. I was putting it on the desk and that’s where the boys usually sit so that was going to be a big test. We started off with the Pure Breeze because I really liked how fresh the scent was. As soon as I opened the lid my oldest son’s response was, “What’s that smell?” lol At first I thought it was a negative response, but it wasn’t. I left it on the desk and the scent wasn’t overwhelming. I really liked it there, but with the black desk, I thought I’d try the Renuzit “exotic escapes” Tahitian Breeze. Both boys really liked that scent. I loved that it was black and fit the desk. Since we’re still settling in, we don’t have a lot of décor so this fit nicely! I also like that it gave more of an exotic scent to the space. In the kitchen, I like to have an aroma, but nothing that’s overwhelming. I don’t like it overtaking the smell of the food I’m making, but like to have something to give the room a fresh feeling. The one I went with was the Simply Vanilla. Makes sense, right? I think that it would fit in any room! Last was the bathroom. This is the room I like smelling like it’s fresh or the outside. It was an easy choice with the Fresh Rain. I could’ve put this in the bedroom, too, but I’m still waiting on a dresser to make it’s way to my bedroom. Because everything is white in the bathroom, the Fresh Rain cone fit with everything else we have in there. Once I get the boys room finished (we’re still unpacking clothing) the boys will have to agree on a cone they like because I tell you what, with two boys sharing a room, it can get quite stinky in there! 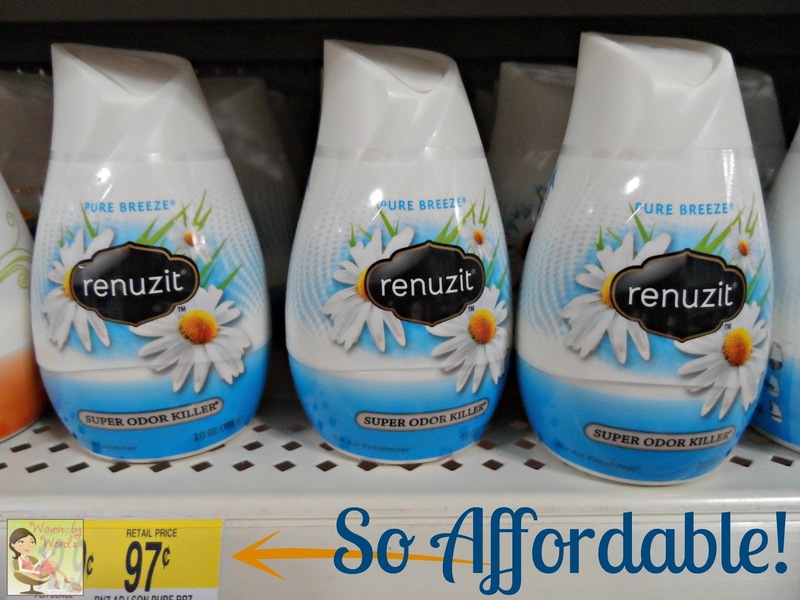 Ok, so, have you seen the new Renuzit commercials? So funny to have a man that goes along with scent in every room, basically a Scent Gent! There are 18 scents and you can see what “gent” goes along with each scent on Facebook! Such a fun and pretty post! I love that you busted your son 'sniffing'! LOL I love that you can update an older home with just a new scent! I can't wait to try the pumpkin latte and the apple cinnamon. I would like to try the Sunny Laundry scent in the bathroom. I want to try Fresh Lavender. I'd like to try the Lavender scent! I love Renuzit! I haven't tried the Pumpkin Latte yet and I love "Fall" scents so I'm gonna go with that one. Thanks for the giveaway! Love all the pictures! I think it's funny that your son was sniffing the one on the entertainment center ;)! I'm afraid to say these are too strong for me, though! I used to buy them at Walmart and discontinued the use of them in favor of scented oils and reeds! OMGosh my grandparents used to have Renuzits in every single room! I haven't really even paid much attention to them while in the store... I didn't even know they had all these great new scents. I'll have to check them out next time I'm out. I think I'd like to try the Autumn Woods. I like to put these in our closets.